Quality, taste and benefits to health are the most important areas under which we trade our agricultural products. We are committed to maintain a consistent and strong relationship with our esteemed clients. These agricultural products are procured from the reliable sources and are stored in a systematic and categorized manner in our well-maintained warehouses. We supply these agricultural products in both national and international market as per the clients requirements. The agricultural products that we supply are tested in our special laboratories for pesticides, adulteration and nutrient content. Only after a positive result, we make them available for packaging. We have with us Soyabean, Wheat, Gram, Udad, Mustered, Jwar, Maize, Yellow Maize (Sweet Corn), Wheat, Mansoori Rice, Food Grains, Pulses and different types of agricultural commodities. These are available in different size packing. 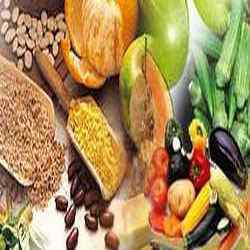 We export these high nutrient valued agricultural products at reasonable price in different size packets as per client's need.